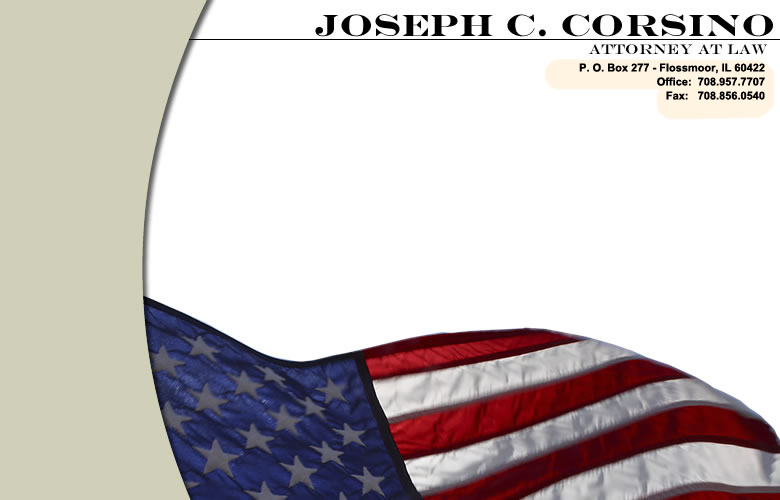 Hello, my name is Joseph C. Corsino and I'd like to welcome you to my website. Let me give you brief overview about the two areas of law I concentrate in and please feel free to peruse my site for your specific needs. Feel free to contact me by email or my toll free number; I'll be happy to answer any questions you might have about your particular case. Have your driving privileges been revoked or suspended in the State of Illinois because of one or more DUI’s or other traffic convictions? Do you need a restricted driving permit or full reinstatement in Illinois? Have you relocated to another state and find you cannot renew your license in that State because of pending matters in Illinois? Do you need clearance in the State of Illinois? I can help you regain your driving privileges. Are you thinking about divorce or is your spouse suing you for divorce? It’s not a pleasant thought, but when we think of the alternatives, they’re not so pleasant either and divorce can be very disruptive not only for you and your spouse, but especially for the child or children. No one wants to suffer through a lengthy divorce and it’s especially difficult when there are children involved. Yes, the bankruptcy laws have changed but bankruptcy is an available option for you and if you have answered the above statements and have been truthful with yourself then the next step is to make the decision to get back on track and start sleeping again.